So I played a match recently. Cryx vs Cygnar, Gaspy2 vs Stryker2. I'll drop the lists in spoilers. Map had like a well providing cover in the center. Two houses on one side, forest, hill, and a wall on the other. My Reaper and Deathripper got scrapped real early by his heavies. Carrion thralls did some work using the houses for cover to get into his backfield. Killed off Jakes. The middle was mostly just my infantry grinding into his robots until everything was dead. Riders took some hits from blazers before killing two of them and then getting finished off. Game ended from a super long Stryker charge after I waffled on whether to use hellbound. Teach me to forget Energize or w/e. I really have trouble with delivering bane riders, it seems. Does anyone have any tips for getting them into the action? Low speed for horses makes it hard to get the charge off before being shot. I feel like cavalry really need a delivery system, like clouds or cover or stealth. And they'll still get shot off the table by Sloan or other gun lines with true sight.  With Gaspy 2 unable to make cloud walls anymore I'm not sure what he would do. They'd work with Agathia or the Coven, or Goreshade (though only the Coven would protect them from true sight). Tonight I finally tried Convergence. They are extremely difficult to play, holy cow. Also they seem very badly suited to small games; you need points for the whole support network of servitors, mechanics, arc node solos, Corollary jack, AND enough hitters to make the support worthwhile. I wouldn't play them less than 50, even. Otherwise Induction seems like a straight up worse mechanic than normal focus with power up. So I'm probably going to commit to Cryx for my main faction after all. Yeah, almost like they didn't get a new battle box for a reason. They're definitely tough. There's actually a few cases where Induction is pretty sweet, though. You can induct focus onto vectors that aren't in your warcaster's command range, for instance. And if you set the chain up properly, you can have three focus flow all the way through ALL of your vectors. If you've got ways to spend it, you can get some serious value there. I really do think that it's the best-designed army, in that it basically hits the perfect merging of theme and mechanics. Lots of little cogs grinding away in service of your war machine. CoC's overall design was almost entirely the work of DC (David Carl) who was by far their best designer. Can you cast multiple of the same upkeep spell in the same turn with the same caster? You can cast it multiple times, but only one instance of it will be in effect. Say you have a caster with Snipe. She can cast it on herself, shoot her gun, and then cast it onto a unit you want to activate next. Basically the most uses you can get out of an upkeep spell is three because your Warnoun casting a second copy of the spell causes the first to expire. Then activate your caster and cast it on themselves then after you're done with their activation cast it on the final unit you want to have it. So I just found out about MKIII a few weeks ago, and I have to say, I think it is drawing me back into the game. They basically made all the stuff I had tried house ruling into the game, and made them official rules. So it actually has me going through and finally painting my guys. It seems like it may be feasible to run mostly jacks/solos now (especially with nemo 3, where I can give ~6 jacks full focus every turn) Or should I still plan on needing a unit or two of infantry still? If so, any recommendations? I was thinking either long gunners, or some variant of storm knight. I currently have 6 stormsmiths, 2 storm towers, a mechaniks squad, strangeways, 2xJourneyman, squire, Nemo2/3, Darius, Siege, one of the strykers, a styker model converted to be a caine, and the new female caster that comes in the new starter. Then my warjacks (I picked up some starter packs pretty cheap back during mk2, so I have way too many jacks). 1xHunter, 2xMinutemen, 3xCharger, 3xLancer, 2xSentinel, 3xFirefly, 1xAvenger/2xCenturion, 3xCyclone/3xDefender, 3?xHammersmith, 4?5?xIronclads, 1xThunderhead. Guess I can proxy him for Harlan, they both have floppy hats. Some casters can get away with just jacks and solos (Darius, Kraye, Nemo1 I know can), I haven't taken too close of a look at Nemo2 or Nemo3 though. Long Gunners are still very meh. ATGM are also "okay" now depending on the caster (I like them with Haley1). Storm Lances are the new hotness, most tournament lists I see run at least one unit, but 2x3 Storm Lances are also common. I see people talk about taking Stormblades. Stormguard are still shelfwarmers though. Trenchers are good now too, since they got an effective price decrease and tough. Nemo3 seems pretty good for a jack list, as long as Finch is alive, when he allocates focus they get an extra one, and she lets him keep a spell on upkeep for free. So I can keep magnetic field up on all my jacks to keep them from getting knocked around, and still have 7 focus to allocate out, with which power up lets me get them all to 3 focus every turn. His feat seems, eh? Adds a die to each electrical attack that turn, if I go all out with 6 stormcallers, 2 towers, and my 3 firefly's it is probably decent. Nemo himself has a range 14 pow12 electrical attack. Not familiar enough with mk3 to know if his spells are good or not (c.lit, electrify, force hammer, lit shroud, magnetic field). Maybe I will pick up some stormblades, I like the idea behind trenchers, but don't really like how they look. Pity long gunners are still bad. How do you reckon that? His card in War Room 2 says he will work for Cryx, Cygnar, Khador and the Protectorate. His card didn't come in the Cygnar pack, and the battle college page lists him as pure mercenary / cryx only. I don't have his actual new card to check personally. The list you have, looks like the MK2 list? None of the mercenary cards come in the Mk3 card sets, do they? Regardless, my Mk3 War Room confirms what Mago said. Battle College is absolutely not a definitive source. The Cygnar pack came with a handful, (A jack, a warcaster, some knights, some solo's including Harlan). Is there a way to order specific MK3 cards? I still need a few more cygnar ones, and don't really want to buy the whole merc pack for one guy. Good to know I can still use him though, thanks! Ahh. So, the reason is comes with those is because they're technically Cygnar models as well. The cards will either be in Cygnar colors or they'll have Partisan (Cygnar) on the back. You used to be able to order individual cards from their website. I'm not sure they have that up and running for Mk3 yet though? Ah, that makes sense. Most of them have partisan, yeah (all are in the green merc color). Except for Savio Montero Acosta, who just has merc - will work with Cygnar. I wonder if he is missing the partisan ability, since he is wearing cygnar armor in his picture. Also I found the store page that sells cards, so I will figure out what I need a few more of and grab them later. So once I get my current Cygnar stuff painted, I have been kind of eyeballing some Orboros stuff as a possible small secondary force. I kind of like the look of the construct models they get. 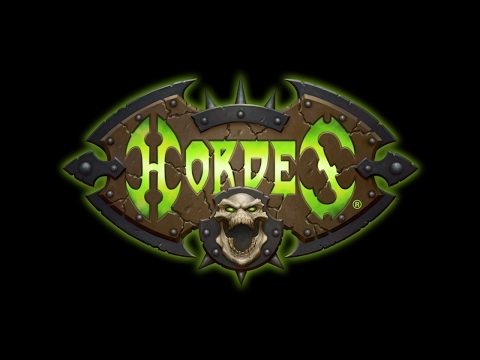 I have played against horde, but have never actually played as them. Then scaling up with a few woldwardens, maybe a wold guardian, and some more woldwatchers, depending on if I like them or not. The WTC happens this weekend. You can follow live streaking of the event on our Twitch channel. 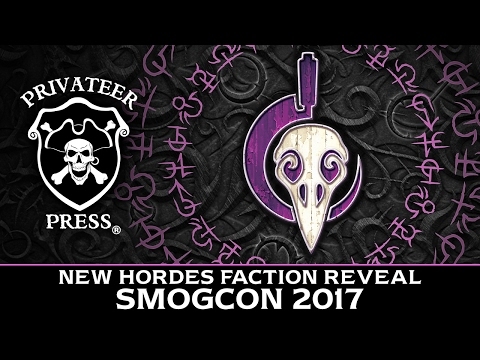 Any recent news about the new Hordes faction? The fae/Halloween Town things? No, but we're going to be seeing the rules for them in March when they get basically Field Tested. Figured it was time to drag this back up from the deeps in light of the news that came with the new errata document. There's a lot there, so if you havn't read the insider yet, just go do that. Cygnar's really unhappy with that Haley1 nerf. It came out of nowhere and the -2 movement being command only makes it pretty pointless (I get the general impression that most would have rather had the spd reduction removed entirely and brought down to a 3 cost spell). The main reason being that they felt the need to nerf a caster that no one plays and no one had talked about in ages. Like, if they wanted to change Haley1's identity away from the frustration of Temporal Barrier, sure, but instead they just said "how bout no one ever plays her again." The other Cygnar changes make sense. I could not believe that Caine2 came into Mk3 the way he was. I think everybody was expecting Haley2 to be hit harder, Haley3 to get hit somewhere, Caine2 to get hit, Thorn to lose something, and Storm Lances to lose DEF. Storm Raptor looks so coool... been waiting for that thing since it was concept art. I think the errata is tentative. I play Cryx and they definitely haven't solved the faction's problems, but the changes they've made show they're willing to reinterpret how models are used. For every 20 points of Flameguard Models/Units gain a Flameguard Command Attachment or 1 small based solo. Friendly Models can begin game with upkeep spells in play. How are Cephalyx doing these days? When I got into Warmachine, it was with Exulon, some monstrosity, thralls, and Nyss hunters. I'm not playing anymore, so if I try and sell them, will there be any desire for them, or are they not well loved at the moment. And they're actually looking... pretty good? Is an avatar of, or is actually, Thamar? I dunno, the idea of having a warlock that is basically a little girl reality bender going through the ultimate temper tantrum is somewhat tempting. I've been futzing around with Circle half of the old 2 Player Battlebox, but I'm tempted to pick up the new one (or a different faction) to take the plunge into MK3. They seem interesting? Plus there was a *lot* more stuff in there than I was expecting. The Old Witch casters for both Khador and Grymkin seem almost deliberately broken. I assume the effect that brings back d3 models to units in her command means d3 total, not d3 each, because that would just be stupid. Regardless, her feat lets her drop two boosted Scourges at range 13 or through the arc node beast, or cast Boundless Charge on a bunch of beasts for 1 Fury, each beast now having future sight. And on top of that she has an AOE 4 blind gun, 20 health, and for some reason 29 warjack points. Aside from that it seems the battle engine is 100% mandatory so you can get friendly corpse tokens and pass them to the beasts that need them, especially in a meta where most people have only one unit of warriors.